With less than two weeks to go until the start of the London 2012 Olympic Games, Britain�s national tourist board VisitBritain has produced a wide number of guides and materials especially for covering the spectacle. Lists of the Top 12 things to see and do in all the regions and main cities throughout Britain, including all the places which are hosting some of the London 2012 sporting competitions. 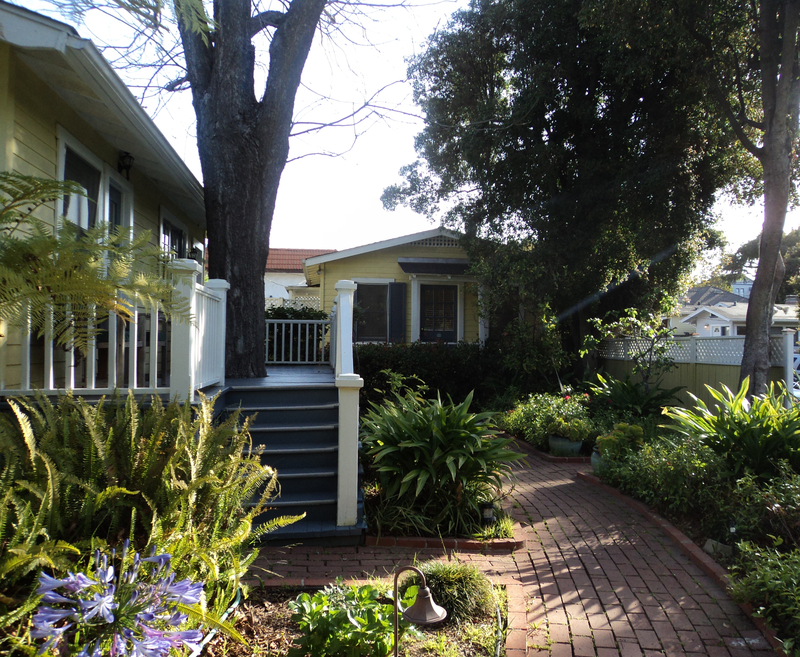 Nearly thirteen years ago Dominique Hannaux opened her charming bed and breakfast, located at 1908 Bath Street in Santa Barbara. Her personal style and taste are seen and experienced in every nook and cranny of this delightful historic house built in 1905, as well as the cozy cottages in the garden area behind the main house. Each room and cottage is an original design and fulfills different requirements for guests. The walls of the main area and family dining room of the house tastefully display Dominique�s paintings, some inspired by great French artists. Five of the cottages in the garden area have private deck Jacuzzi�s that are surrounded by beautiful flowers and trees. 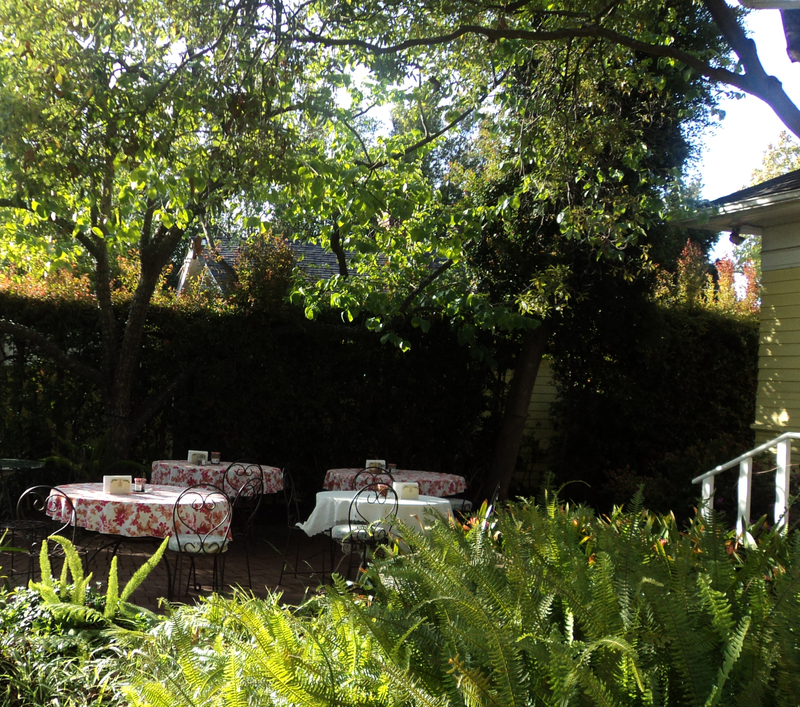 The many fruit trees and herb plants on the property provide the source and flavor accents of the many home-made food items served daily at the Secret Garden Inn & Cottages. This garden becomes a lively breakfast spot for guests in the morning and throughout the day as guests enjoy reading in the shade of a tree or just relaxing after a Jacuzzi or following a massage in their room. Area massage therapists are on call to provide treatments to guests at the Inn. Guests thoroughly enjoy the outstanding home-made breakfasts created and presented by their multi-talented hostess each day. Her European style cuisine was learned from the grandmother who raised her in the French Alps, and her amazing quiche and casserole dishes are requested in advance by returning guests and visiting friends. They include an original artichoke inspired egg dish, a broccoli with two cheese quiche and a treasure trove of additional family favorites and recipes she has collected throughout the years. Along with her outstanding entrees guests rave about her home-made bread pudding. An inviting daily buffet displays fresh fruit, coffee, tea, juices and a collection of fresh baked scones, croissants and bagels served with home-made jams that provide a memorable beginning for guests heading out to a busy day of sightseeing, wine country trips, shopping adventures or an early morning visit to the Santa Barbara Farmer�s Market. Dominique�s kitchen is the place to find true country French warmth and hospitality, where guest sometimes enjoy a cup of coffee and share �best of the best� tips on where to dine or shop, while watching her prepare the morning buffet. They are welcome to enjoy a leisurely breakfast in bed, sit outside on the flower filled patio or join other guests in the indoor dining room, where a bevy of brochures on places to go and things to see in Santa Barbara can be found, along with valuable discount coupons. Upon their return to the Inn at 4:00 guest will find a lovely wine and cheese presentation waiting for their enjoyment. Some people prefer the sleek and quick paced environment of modern hotels, but some people still adore and seek the casual comfort of a bed & breakfast where they can truly savor a European style experience in very relaxed setting. ; a place where the personal touch and presence of the proprietor can be seen and felt throughout their stay, and this is the true essence of the thirteen year success of Secret Garden Inn and Cottages. The all-volunteer Spirit of �76 Association will share a major milestone with Santa Barbara residents and guests this year as it presents its 50th annual 4th of July Parade. The theme of this year�s parade is �The Gift of Individual Liberty.� The events of the day will celebrate Liberty and its place in the heart of America. The parade will take place on Wednesday July 4, 2012. The grand march begins at 1:00 p.m. at Micheltorena Street and proceeds down State Street to Old Town Santa Barbara, concluding at Cota Street. Potential participants are invited to contact Spirit of �76 at Spirit_1776@yahoo.com. Later that day, Spirit of �76 and Santa Barbara Music Events will present the annual Independence Day Concert at the Santa Barbara Courthouse Sunken Gardens. The concert will take place after the parade (Wednesday July 4th), at 4:00 p.m.. It will be open to the public and there will be no admission charge. The Santa Barbara County Historic Courthouse is at the corner of Anacapa Street and Anapamu Street. Bring chairs, blankets and a picnic dinner. Classical concert pianist Bryan Tari will be the Event Director and Coordinator of all musical acts in the 4th of July concert. Tari has performed on stages, television, and radio throughout the world, including at the opening ceremonies of the 1984 Summer Olympic Games in Los Angeles. �We are very excited to have Bryan Tari directing the concert this year,� Lamberton said. �He is a highly respected Santa Barbara artist who will help make this beloved annual event more memorable than ever.� The event, a long-running favorite of locals and visitors, will once again fill the Sunken Gardens with the sounds of traditional music celebrating America�s Independence Day. It will feature prominent musicians from the community, including artists from The Music Academy of the West. The public is invited to visit http://spiritof76sb.org/ for more information about this year�s 4th of July celebration as details evolve. Spirit of `76 is a non-profit organization. The group is non-partisan and non-political. When Badrutt�s Palace Hotel opens its doors for the summer season on Friday June 22, everything will be set for a season of appetizing affairs. After months of careful preparation to arrange surprises and highlights for Badrutt�s guests, the result is a varied program of non-stop flights of fancy in the legendary luxury hotel in the Engadin. The season gets off to a soaring start with the grand Summer Opening; hosted within two restaurants and a bar, it�s guaranteed to be an evening to remember. During the summer, the hotel is inviting guests to join them on a gastronomic journey through the Far East, to discover the fine oriental delicacies of East Indian cuisine right through to the end of the season on September 9. Palace Gourmet Safari � Come July 4, guests can feast their way through the hotel. Starting with a cocktail in Le Grand Hall, a delicious sampling of risotto in the wine cellar awakes taste buds for the main course in Le Restaurant. For dessert it is off to the hotel�s own patisserie kitchen for some sinful sweet creations by Stefan Gerber. Palace Chef�s Table � On July 12, Executive Chef Mauro Taufer invites guests into the heart of the main kitchen. Diners will see chefs hard at work while savouring the delicacies created before their very eyes. Wine & Dine � July 18 brings an evening of fine summer dining, beginning with an aperitif in the wine cellar, followed by an exclusive dinner and choice of fine wines in Le Relais restaurant. Swiss National Day � Badrutt�s Palace Hotel is marking Swiss National Day on August 1st. A buffet brimming with Swiss specialties awaits in Le Restaurant, accompanied by the traditional sound of Kolleggers Huusmusig, the largest family music group in Switzerland. Via Serlas Summerfest � Come August 5, the tiny, yet exclusive shopping street in St. Moritz is transformed into a pleasure mile. Badrutt�s Palace Hotel entertains guests with a variety of buffets and an extensive array of sumptuous surprises in collaboration with the shops and boutiques. Palace Chocolate Cult � From August 10-12 guests will be led to sweet temptation during the annual Chocolate Cult. The hotel�s Head Patissier presents chocolate creations of every shape and size in Le Grand Hall. Beyond a jam-packed culinary calendar, Badrutt�s ongoing daily highlights are not to be missed. The wellness-focused restaurant La Diala serves the finest sushi and sashimi every day, which guests can enjoy on the stunning panoramic terrace. Le Grand Hall serves Traditional High Tea daily from 2pm to 5pm, with no less than 38 varieties of teas to choose from. Sweet pastries and delicious sandwiches elegantly complement this classic English teatime. The most frequently asked question on Trip Advisor about vacationing in the Galapagos is, �Should I take a cruise or do a land-based tour? According to recent visitor statistics released by the Galapagos National Park, during the first quarter of 2012, 42 percent of the 31,780 foreign visitors to the Galapagos chose hotel based, port-to-port or island-hopping tours; the other 54 percent selected a live-aboard cruise, reports Doris Welsh, spokesperson for Ecoventura�s (http://www.ecoventura.com) environmentally friendly fleet of 20-passenger yachts. This playing field reflects two scenarios: an increase in island-based accommodations over the last few years, the main cause for most of the recent growth of tourism to the islands, plus new governmental controls on where, when and how tour boats can operate in the region. �Ecuador�s concern over this collection of islands that is a world treasure has pointed the cruise business in this region in new and far better directions,� says Welsh whose company since 1991 has guided visitors through the fragile eco system of the Galapagos that is a national park as well as a UNESCO World Heritage Site. Welsh notes that Ecoventura�s three expedition yachts are among the 80-plus live-aboard yachts and cruise ships that continue to receive licenses to sail in these waters with passengers who number from 16 to 100 per journey, depending on the vessel�s capacity. While cruising may not be for everyone, those who do enjoy being on the water reap a more bountiful harvest of experiences, Welsh believes. For starters, the most spectacular islands of Espanola (Hood), Genovesa (Tower) and Fernandina aren�t available to land-based guests. According to most guide books, these are the �must see� islands in the entire archipelago, with the highest level of endemism and the largest colonies of sea birds with the most diverse species; including waved albatross, red-footed boobies, Galapagos penguins and flightless cormorants. Other benefits of cruising that she outlines include being able to avoid populated towns, time-consuming small plane or ferry transport between islands and packing and unpacking at different hotels during a multiple lodge, island hopping itinerary. On a land based tour one often experiences more of the human population than wildlife. She notes that it is a generally accepted fact that the best guides in the region are those employed by live-aboard yachts. All are naturalist-certified by law. In the case of Ecoventura, cruise-related activities such as shore excursions, snorkeling and kayaking are always escorted and included in the cost of the cruise, as is all the equipment needed. Ecoventura maintains a maximum of 10 guests per 1 guide on all shore walks, one of the most generous guide-to-guest ratios of any land or sea-based tour. About Ecoventura: Ecoventura is a family-owned company based in Guayaquil, Ecuador, with sales offices in Quito and Miami. In operation since 1990, the cruise company transports 4,000+ passengers annually aboard its fleet of three expedition vessels; Eric, Flamingo and Letty, identical, superior first-class 20-passenger motor yachts. The company also operates the M/V Galapagos Sky, a 16-passenger dedicated dive live-aboard offering 7-night weekly itineraries visiting the northern islands of Wolf and Darwin. To reserve a cabin or private charter, or to receive a copy of Ecoventura�s 2012/2013 catalog please call toll-free 1.800.633.7972, or e-mail info@galapagosnetwork.com. 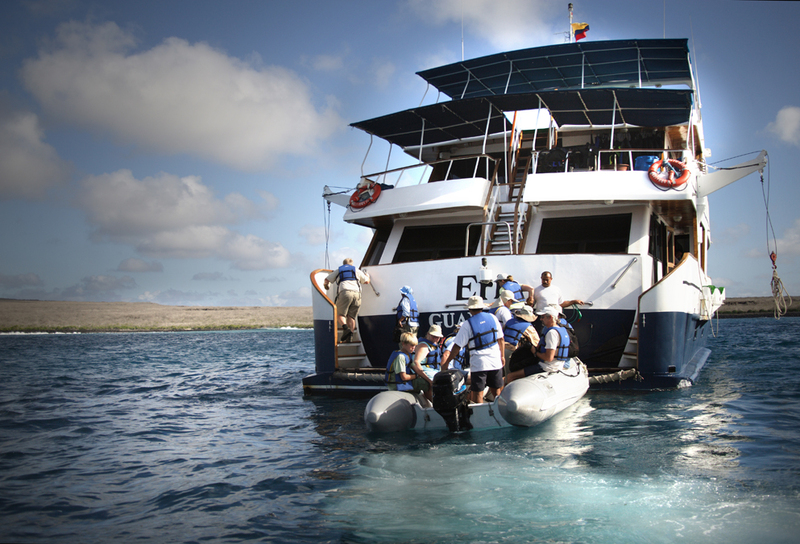 To access current rates, schedules and itineraries log on to http://www.ecoventura.com/. For those of us who didn�t manage to get hold of tickets to the Olympics, there is still hope. A number of the events take place outdoors and in public places, meaning anybody can turn up and watch free of charge. Events are also being broadcast on big screens around the country. Hyde Park will host the Olympic Triathlon course for 2012, and spectators can gather to watch the furious running, swimming and cycling for free. Athletes will run and cycle laps of the park, and swim in the famous Serpentine. The men's triathlon is on Saturday 4 August and the women's triathlon is on Tuesday 7 August. The Olympic Road Cycling events are open to all for free. Even better, they take place around some of London�s loveliest attractions. Beginning at The Mall, the route for the road races (28 and 29 July) passes Buckingham Palace, Richmond Park, Hampton Court Palace and The Natural History Museum. The time trials, (1 August) will take place at Hampton Court Palace. Taking place on the 5 and 12 August, the marathons will see hoards of runners sweep through London. As they do, they�ll pass by St James Park, St Pauls Cathedral, the Tower of London and the Houses of Parliament. The Race Walking events take place on 4 and 11 August, starting and finishing at The Mall and passing a fine collection of London sights on the way. The deep blue waters of Weymouth Bay and Portland Harbour will play host to 10 sailing events over the course of 14 days during the London 2012 Olympic and Paralympic Games. These free events will offer fans excitement and drama as they watch teams race in the beautiful but testing waters on the south coast of England. Sailing takes place from 29 July-11 August. With large screens carrying live broadcasts of the Olympic events, you�ll be able to see all the action in at least 20 locations around the UK and get the best seat in the house to watch your favourite event. So wherever you are in the UK, you won�t be far from the Olympics!